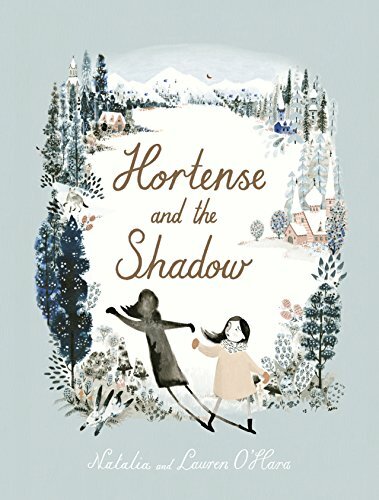 A deliciously dark fairy tale, Hortense and the Shadow by Natalia and Lauren O’Hara tells the story of a small girl who is afraid of her shadow, and plots to get rid of it. With delightfully descriptive phrases such as ‘wolfish woods,’ combined with the onion turrets of Russian architecture, the book has a distinctive style. Throughout, the author and illustrator manage to give a warmth to the snowy landscapes with the innocence of dotted pastel illustrations, and a subtle simplicity within the text. The menace in the tall trees matches the menace Hortense sees in the stretch of her shadow, but in the end her happy ending comes when she sees that the shadowy figures in the background can be more frightening than her own shadow. Without her shadow, she is smaller. With it, despite its darkness, she grows in stature and confidence. With an allusion to Peter Pan via a sash window guillotine, and the hints of fairy tale, this is a picture book that comes from the literary canon that preceded it. 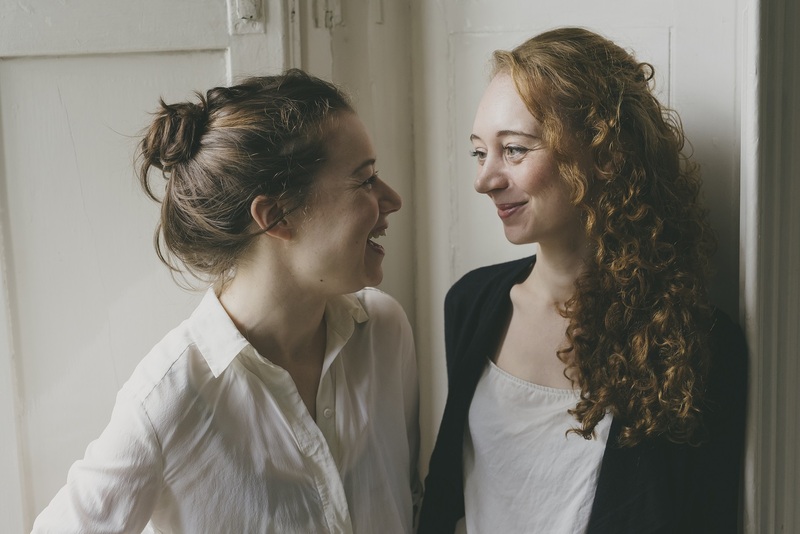 Author Natalia and illustrator Lauren are sisters. They were born in the North of England to an English father and an Eastern European mother, and now live in London. MinervaReads asked Natalia and Lauren to discuss working together, where their ideas come from, and writing alternative modern fairy tales. The sisters, being sisters, interviewed each other. This is their conversation. Natalia: In a way, Hortense and the Shadow was your pick, because I came to you with six or seven story ideas and asked which you liked best. What attracted you to the story? Lauren: It felt by far the most personal of the stories you’d come up with, and also the weirdest and least commercial. Those are qualities we both seem to be attracted to. It also seemed like it didn’t have a bat’s chance of getting published – I remember us saying we’d cut our teeth on this one, and do something commercial later. Actually it was kind of liberating, feeling like we could just play and learn because nobody would ever want to publish this book. Natalia: It surprised me when you said just now that Hortense and the Shadow was a personal idea. What do you mean? Lauren: I don’t know if I can put it into words but there’s something about that story that always spoke to me on a personal level. It had a message about self-acceptance I loved. Remember, that was the time when I was coming out of that dark period in my life, and working hard to accept myself and my flaws. And both of us struggled with low self-esteem when we were children. I think we were just lucky that we’re not the only ones who’ve had experiences like those, so it felt personal to some other people too. Natalia: We talked about Hortense being a kind of modern incarnation of the fairytale princess and about gender quite a bit when we were making this book. What did that mean to you? Lauren: Well if you remember, when we very first started working on the book there was a moment where you considered making the hero a little boy. But I remember us both feeling that wasn’t the right solution at all. Because this story has a message about accepting your darkness and holding onto your imperfections. I think of course that’s important for everybody, but with the world being how it is, it’s a crucial message to give to little girls. Natalia: Who are your favourite illustrators of fairytales, and why? OK my turn! Were you ever surprised by how I interpreted your writing? Natalia: Not really. When you showed me your first drawings the feeling was more like – “Oh there it is!”. You were developing a new style because you were illustrating for the first time, but at the same time what delighted me was how you were channeling the books and illustrators we loved as children – Jiri Trnka, Errol Le Cain, Mirko Hanak. Probably because of that your illustrations felt familiar to me. Lauren: Do you think our Eastern European background influences the kind of stories we tell? Natalia: How could it not really? There are subtle ways it influences us, like the mood of melancholy and nostalgia that comes from being born into a family like ours, where every generation until ours, people had to go into exile to escape horrible political events. Then there are more obvious ways, like the fact your illustrations look a lot like the hand-me-down mid-century Soviet books we had at home. Or the fact I love to write strong female protagonists, which is quite common in Slavic fairy tales where the princess often rescues the prince. So yeah, I think it’s everywhere, just like our English heritage is everywhere. Lauren: Why do you like writing fairy tales? Natalia: Fairy tales often seem simple and sweet, but underneath they’re full of complicated emotions and ideas that can take many readings to uncover. If it’s a fairy tale, people have an expectation that all that depth is in there and they don’t mind digging for it. Fairy tales grow up with you; they give you darkness and complexity when you’re ready for them. That’s why I love fairy tales, and why I believe they’re full of magic. Photo credit: Charlotte Knee Photography. You can buy a copy of the book here.